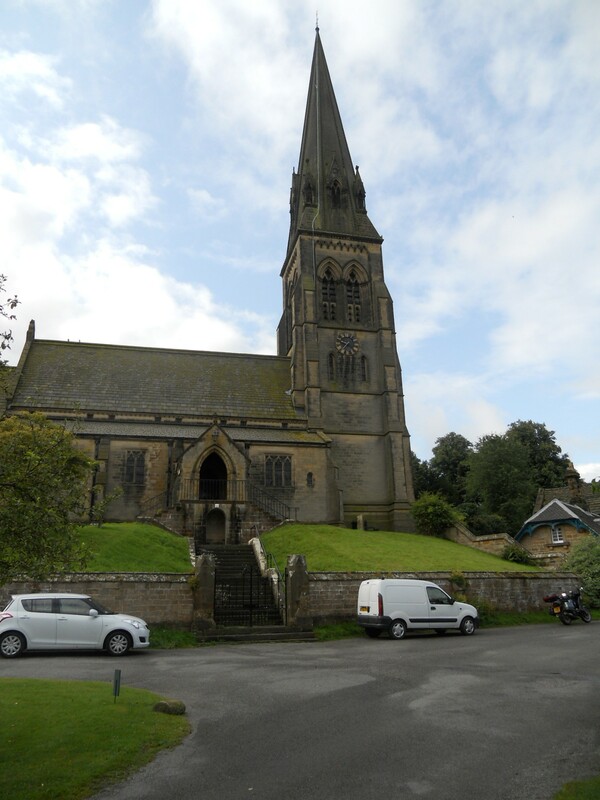 The village of Edensor stands on the Chatsworth estate and was famously moved so that it could not be seen from the House. There was originally a Norman building here but this was demolished and the present church built in 1867 to a design by Sir George Gilbert Scott. It is a very fine church. 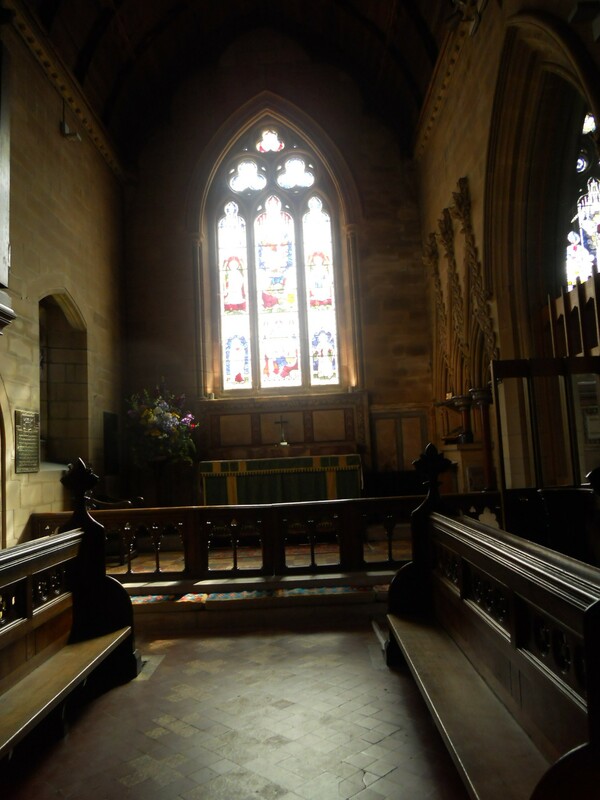 The churches history is entwined with that of the Devonshire family who own Chatsworth House. 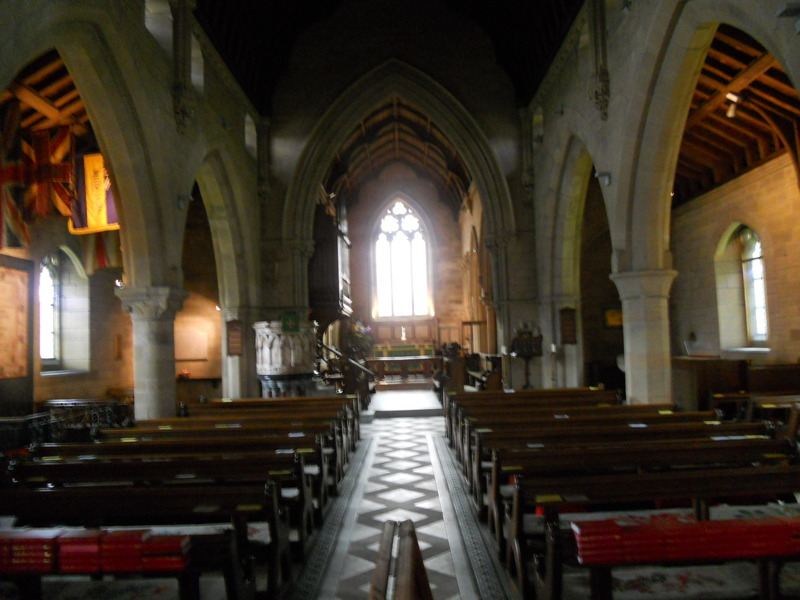 It therefore feels like an estate church but it is also a parish church. It is open each day and the signage is very good, making this abundantly clear. I found a selection of cards for sale and the excellent Tim Tiley booklets and prayer cards. Some history books are available as well and some recipe books and book marks. There is a guide as well and some ‘bats’ to carry around. A good selection. Also a churchyard plan. The lights come on when you enter the church. St. Peter’s gets a good number of visitors, I counted 102 entries in the visitors book for July. Some fascinating prints of the funeral of Frederick Cavendish in 1882 are displayed as well as the wreath sent by Queen Victoria. 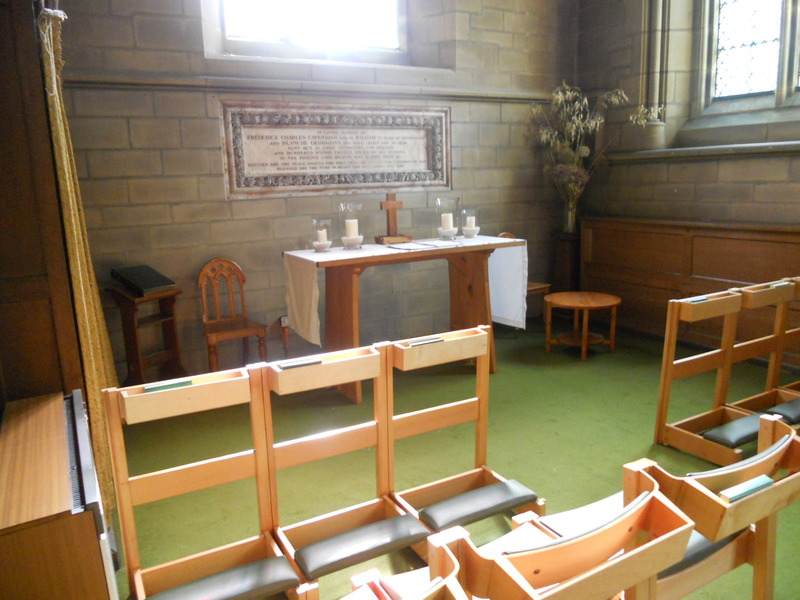 These are in the Cavendish Chapel where there is a prayer book which is very well used. 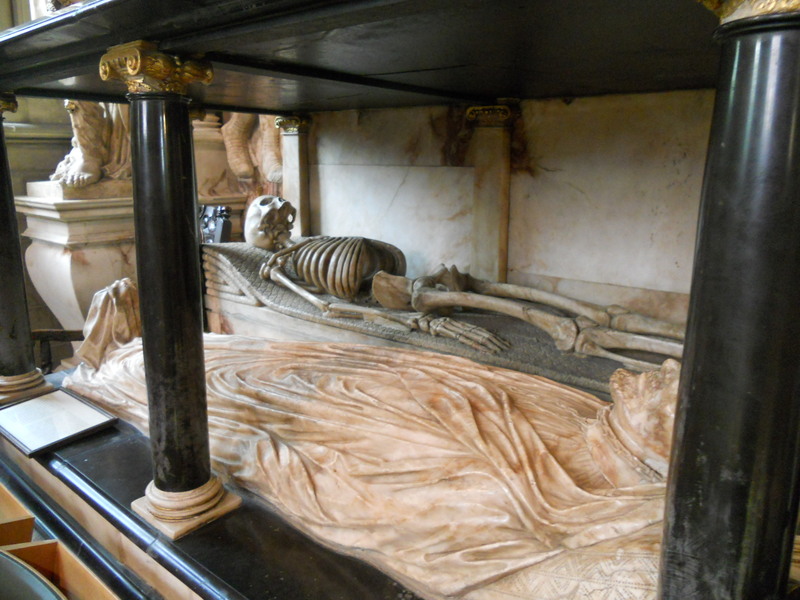 The Cavendish tomb is wonderful – here is a picture. It commemorates William the 1st Earl of Devonshire who died in 1625. Image trying to get a faculty to put something like this in a church today! 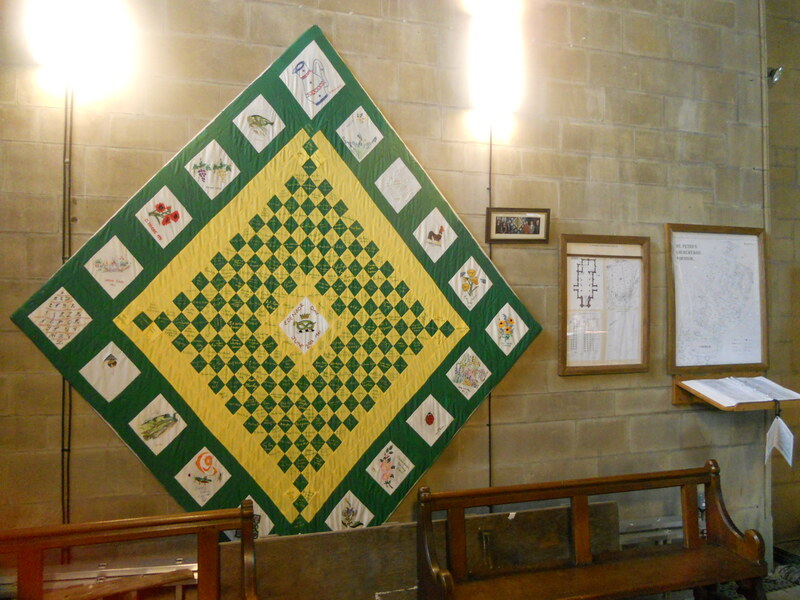 Bringing things up to date the wedding couples who are being married here are revealed smiling at the camera and there is a lovely quilt displayed as well as some work by Pilsley C of E School, which is very good. I rate St. Peter’s as good for the visitor. There is a good church website at http://www.stpetersedensor.org/ with visitor information and an interactive guide on it – very good.